- Admission shall be granted only to those members in good standing with assessments and membership fees paid in full and no outstanding violations. 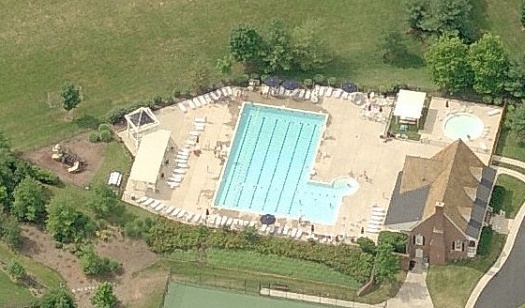 - A current pool pass must be shown to the gate attendant to use the facility. - Children under 10 years of age must be accompanied by a responsible person at least 16 years of age. - Children been the ages of 10 and 12 may be admitted unaccompanied with written consent of the child’s parent or legal guardian. The child must also have successfully passed a swim test as prescribed by the Pool Manager. - Except for approved safety equipment, floats, balls, toys, water wings, inner tubes, etc. may only be used in the pool at designated times. - The pool must remain closed for 45 minutes after lightning and/or thunder. - A 10-minute break every hour is set aside for use by those who are 16 years of age or younger. - The wading pool is limited to use by children under 6 years of age. - Children in the wading pool must be supervised at all times as no lifeguard service is furnished at the wading pool. Management. Special rates are available for long term guests. - No more than six guests per household are permitted to use the facilities at the same time unless arrangements are made in advance with TWC. extended period of time that would like to use the recreation facilities, please contact TWC Association Management.